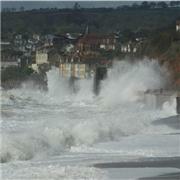 This could be the kiss of death The sea Mr Grayling is that wet and sometimes blue stuff like you. I am sure one of the DDC will be up their pretty sharpish with some dodgey i.d. to claim it...ha ha ha ha!